Big data is becoming a big deal and cloud providers want to be the place where enterprises databases live. Some concerns remain for what some call database as a service (DBaaS), specifically around sensitive information being stored in the cloud and around cloud outages. But still, an emerging market of cloud database services and tools seems to be picking up steam. 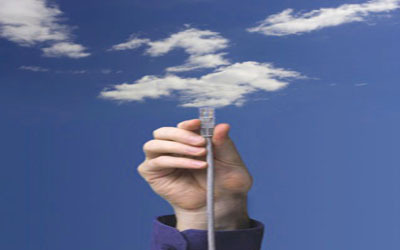 Here, Network World looks at 10 cloud database tools. Some of these are providers of direct relational, SQL or NoSQL databases, while others are niche focused on various open source databases. Please note this list is not meant to be exhaustive, as some big players, like Oracle, HP and EMC/VMware are still rounding out their cloud-based products and strategies for these tools. Amazon Web Services has a variety of cloud-based database services, including both relational and NoSQL databases. Amazon Relational Database (RDS) run either MySQL, Oracle or SQL Server instances, while Amazon SimpleDB is a schema-less database meant for smaller workloads. On the NoSQL side, Amazon DynamoDB is its solid-state drive (SSD)-backed database that automatically replicates workloads across at least three availability zones. AWS CTO Werner Vogels says DynamoDB is AWS’s fastest growing service in AWS history. Amazon also offers a variety of auxiliary data management services, such as its newly announced data warehouse named Redshift, as well as Data Pipeline, which helps users integrate data from multiple sources for easier management. EnterpriseDB focuses on the open source PostgreSQL databases, but its real claim to fame is its ability to work with Oracle database applications. With EnterpriseDB’s Postgres Plus Advanced Server, organizations can use applications written for on-premise Oracle databases through EnterpriseDB, which runs in clouds from Amazon Web Services and HP. It has binary replication and scheduled backups as well. Garantia offers a gateway service for users to run open source Redis and Memcached in-memory NoSQL databases services in AWS’s public cloud. Using Garantia’s software allows for automatic configuration of these open source data platforms by helping developers scale nodes, create clusters and architect for fault tolerance. Google’s cloud database service is centered on two major products: Google Cloud SQL, which Google describes as a MySQL-like fully relational database infrastructure, and Google BigQuery, an analysis tool for running queries on large data sets stored in its cloud. Microsoft uses its SQL Server technology to provide a relational database, allowing customers to either access a SQL database on its cloud, or hosted SQL server instances on virtual machines. Microsoft also emphasizes hybrid databases that combine data both on a customer’s premise and with the Azure cloud through SQL Data Sync. Microsoft has a cloud-hosted NoSQL database service named Tables as well, while Blobs (binary large object storage), are optimized for media files such as audio and video. In the NoSQL world, there are a variety of database platforms to choose from, including MongoDB. MongoLab gives users access to MongoDB on a variety of major cloud providers, including AWS, Azure and Joyent. Like other gateway-type services, MongoLab also integrates with various platform as a service (PaaS) tools at the application tier. MongoLab run on either shared or dedicated environments, with the latter being slightly more expensive. Rackspace’s database comes in either a cloud or managed hosted offering via Cloud Databases, which is the name of its product. Rackspace emphasizes the container-based virtualization of its Cloud Databases, which it says allow for higher performance of the database service compared to if it was run entirely on virtualized infrastructure. Cloud Databases also incorporates a SAN storage network and it’s based on an OpenStack platform. This month, Rackspace announced a NoSQL database in its cloud from provider Cloudant. Enterprise software giant SAP is now playing in the cloud with HANA, a platform built on in-memory technology. Its cloud database from HANA complements the company’s other on-premise database tools, including Sybase, and is available in Amazon Web Services’ cloud. HANA includes other non-database apps too, including business management tools and application development. Unlike other databases in the cloud, StormDB runs its fully distributed, relational database on bare-metal servers, meaning there is no virtualization of machines. StormDB officials claim this leads to better performance and easier management because users do not have to choose the size of virtual machine instances their database runs on. Despite running on bare metal, customers do share clusters of servers, although StormDB promises there is isolation among customer databases. StormDB also automatically shards databases in its cloud. The company is currently in a free beta. Xeround (pronounced zeh-round) is a management tool for deploying easily scalable MySQL databases across a variety of cloud providers and platforms. Its software allows for high availability and scalability and it works across a variety of cloud providers including AWS, Rackspace, Joyent and HP, as well as on OpenStack and Citrix platforms. We denitifely need more smart people like you around. How will IoT impact the aging population in Singapore?